What’s the best that the Red Devils can hope for this season? We’ve reached the midway point in the Premier League campaign, and so it’s time to look back on the season that Man Utd have had thus far. 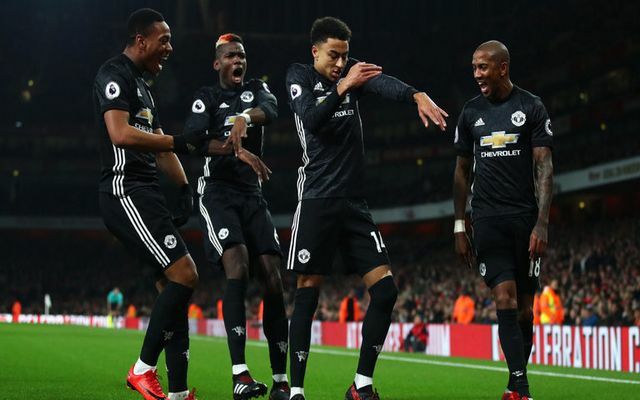 Jose Mourinho’s men made a very impressive start as they brushed teams aside with their ruthless attacking play, especially late in games, as they set the tone early that they would be title contenders. However, negative tactics, unexpected slip-ups and a poor result in the Manchester derby have left them chasing Pep Guardiola’s side, and they’ll need to avoid any further setbacks moving forward to have any chance of cutting the deficit and lifting the Premier League trophy in May. It’s been a campaign of ups and downs to this point, as we look at who has impressed and who hasn’t, and what Man Utd can hope for between now and the summer. David de Gea. There are certainly other contenders for this one, but the Spanish goalkeeper has been in sensational form at times and deserves to get the nod. From his sparkling display away at Arsenal to the countless other world-class saves that he’s made, he’s undoubtedly been a key performer for Man Utd. That’s reflected in the fact that they boast one of the best defences in the league, and his marshalling of the backline coupled with his shot-stopping make him one of the best in the world. Henrikh Mkhitaryan. The Armenian international just hasn’t had a good time of it this season, falling way short of the expectations he set with his form prior to moving to Manchester from Borussia Dortmund. Snubbed from the match-day squad on numerous occasions this season, he’s suffering with a lack of confidence, form and with the fierce competition for places. It’s questionable as to whether he can turn it around and prove to Mourinho that he has a future at Old Trafford, with rumours linking him with an exit as per The Independent. Speculation refuses to go away over a move to Man Utd for Tottenham defender Danny Rose in a deal worth a whopping £50m, as noted by The Daily Mail, and the left-back position remains a problem for Mourinho. While Ashley Young has done a commendable job filling in, the likes of Luke Shaw, Matteo Darmian and Daley Blind haven’t done enough to convince. In turn, it’s an area of the squad that needs to be addressed, and Rose could be the most likely solution to the problem with Shaw and Darmian heading out the exit door to make space and raise funds. Mourinho has had a difficult relationship with the Man Utd supporters at times this season, as he’s been very public with any criticism of them over their backing of certain players and the team in general at home games. In turn, that could be a problem as he surely wants the fans on his side. However, given he helped deliver three trophies last season and is leading a competitive charge again this year, his job is undoubtedly in no danger. 2nd place in the Premier League. Champions League last four and deep runs in the cup competitions. It’s going to take something special to catch Man City, and unfortunately for United fans, it looks as though the title will be heading to their city rivals. However, they must still continue to push on a secure second place to get a direct path to the Champions League next season, while they could go far in the competition this season with the quality and depth that they possess coupled with Mourinho’s experience in Europe. Winning a cup would also be on the list, as he will surely want to continue to add to the trophy cabinet wherever possible.